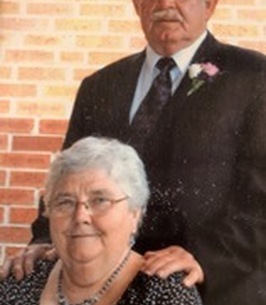 Patricia “Patty” J. Hawkins, 71, of New Martinsville, WV died Friday, November 16, 2018 as the result of an automobile accident near Pentress, WV. Patty was born September 19, 1947 in New Martinsville, WV; daughter of Anna B. (Stackpole) Booher of New Martinsville and the late Ray H. Booher. She was a homemaker; floral designer having worked for Barth’s Florist and helped at Flower Basket, the former Occasions, Tin Ceiling and Jan’s Florist all in New Martinsville. Her grandchildren were her life, having a smile and love for everyone she met. Patty was a member of the Immanuel Baptist Church in New Martinsville. As a result of the wreck her father, Ray H. Booher and brother, Danny Ray Booher, Sr. passed with her. In addition to her father, she was preceded in death by her husband, John C. Hawkins. Surviving are her son, John Ray (Patty E.) Hawkins of Columbus, OH; two daughters, Jody K (Vernie) Rine of Proctor, WV and Kathy Jo (Jamie) Clegg of Durham, NC; brother, Richard (Deb) Booher; brother-in-law, Gregg (Carol) Hawkins of New Martinsville, WV; sister-in-laws, Barb (Lee) Fitzsimmons and Christina Booher both of New Martinsville, WV; nine grandchildren, Justin, Josh, John Colin, Tommy, Nicky, Ashley (Alex), Katie (Jay), Brandon (Jordan) and Hilliary; five great grandchildren, Braeden, Camden, Hadley, Savannah and Sofia; special family member, Kathy (Greg) Taylor; Godchildren, Carrie, Amy, Tracy and Chuckie (Brittany) Taylor and several nieces and nephews. Private funeral services and interment will be held at the convenience of the family. Memorial contributions may be made, in Patty’s name, to Cystic Fibrosis Foundation, Western PA-Pittsburgh, 810 River Ave Suite 100, Pittsburgh, PA 15212. 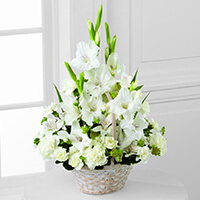 To send flowers to the family of Patricia June "Patty" Hawkins (Booher), please visit our Heartfelt Sympathies Store. Additional Information	Memorial contributions may be made, in Patty’s name, to Cystic Fibrosis Foundation, Western PA-Pittsburgh, 810 River Ave Suite 100, Pittsburgh, PA 15212. Jody - My heart aches for your entire family as you face this difficult change in your life. You are in my thoughts and prayers. May your love for your lost family members continue to live on in their memory! Jody, Vernie, and kids, my heart is breaking for all of you. I can not imagine such a devastating loss. Love to all of you.